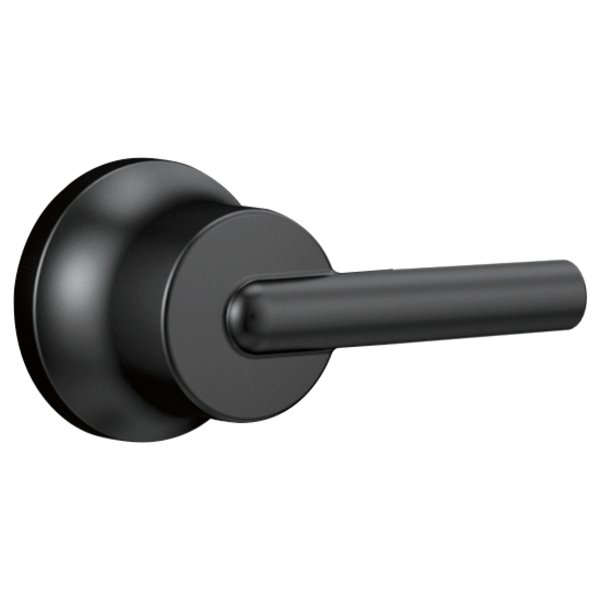 Complete the look of your bath with this Contemporary Lever Handle. Delta makes installation a breeze for the weekend DIYer by including all mounting hardware and easy-to-understand installation instructions. Matte Black makes a statement in your space, cultivating a sophisticated air and coordinating flawlessly with most other fixtures and accents. With bright tones, Matte Black is undeniably modern with a strong contrast, but it can complement traditional or transitional spaces just as well when paired against warm nuetrals for a rustic feel akin to cast iron. You can install with confidence, knowing that Delta backs its bath hardware with a Lifetime Limited Warranty. Can I use shower handle RP73375 to replace RP19628 (1400 series)? Replacing sink with Trinsic faucet. Want to match shower handle. Ron, thank you for your question. As long as the current trim is in the 1400 series (single function cartridge), then the RP73375 will be able to replace the current RP19628.